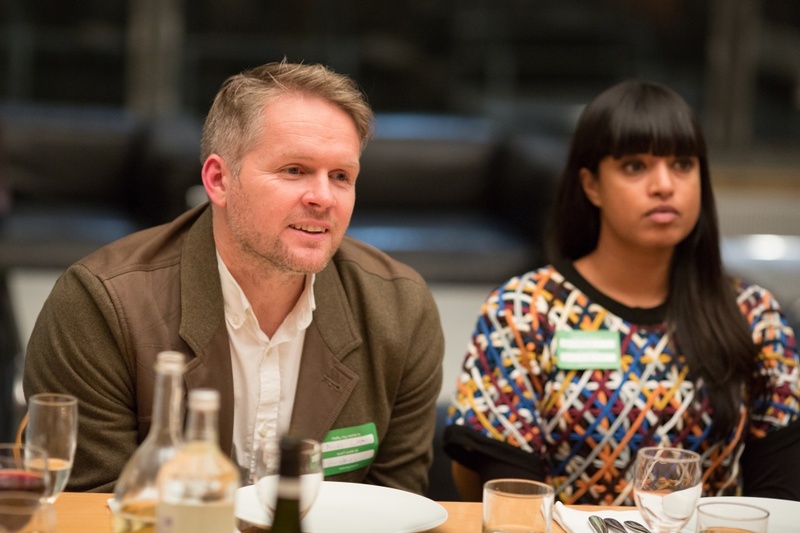 Design Week’s roundtable discussion – in partnership with VC company Index Ventures – looked at why technology companies are starting to see design as a vital ingredient. 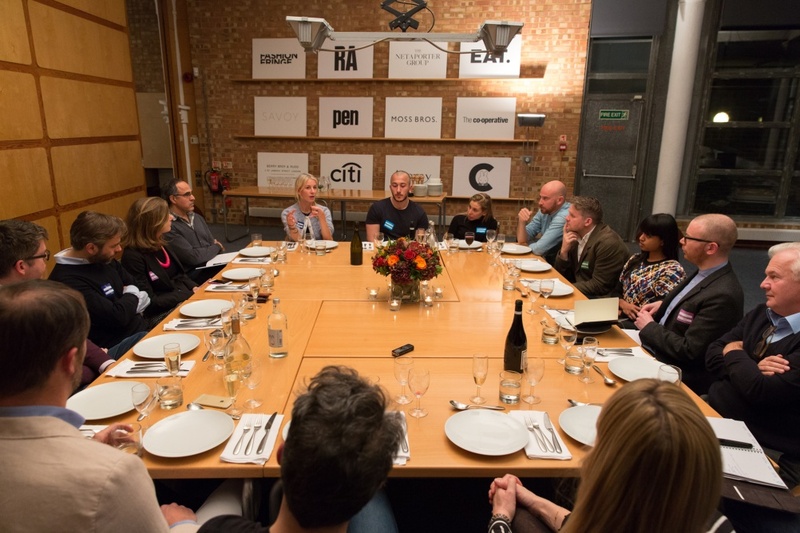 Design Week’s roundtable discussion – in partnership with VC company Index Ventures – which started with the statement “why the most successful tech companies of the future will be design companies”. 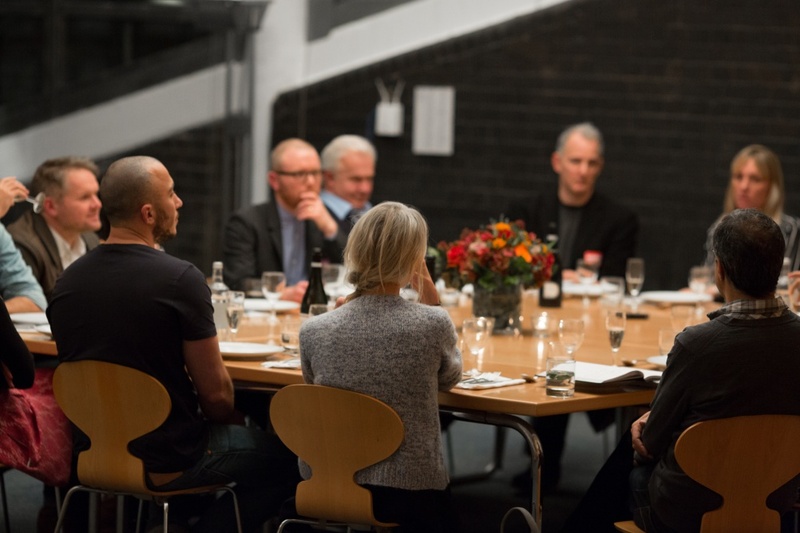 The debate looked at why design is so key in the sector, how tech companies define and use design and how the success of design can be measured. Is it true to say that tech companies are now taking design more seriously? Matt Webb: When we started the company that eventually became Berg in 2005, the idea of using design to invent new tech products was new – at least for the folks we were talking to. By the time we wrapped up ten years later it was far more common. How and why that happened, I’m not totally sure – but I’ve got some guesses. One guess is that design is a great way to invent: it’s a way where turn invention almost into a process – not quite, because you still need to come up with a moment of inspiration. The second thing is that tech used to be a way of creating processes for things but tech is now also about disruption. And design has a focus on how stuff is touched and used. 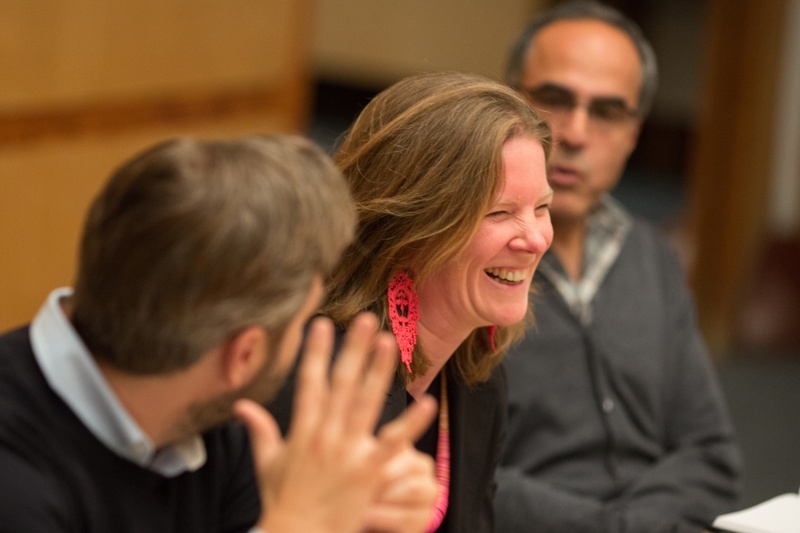 Anna Bateson: I think the rise of mobile has a big part to play. In design terms you used to be able to get away with more on desktop – you had a bit more space so it didn’t matter so much if it didn’t look as good or if the functionality was confusing. It’s certainly true at YouTube that the interesting thing to note is the rise of our UX team. It went from being almost non-existent and quite far down the food chain to being rampant and vastly expanding. The head of UX told me that when he was at Google Maps and G+, because UX was always sited in engineering there was an incredible challenge structurally. You couldn’t hire designers into the engineering team because there were certain rules about hiring – you had to have a certain degree for example. And the only way that he could get design skills was acquire small shops that had really good designers in. So that was a structural thing that had to be fixed, which was a mismatching of skills, to allow people with design experience to come in. I think it’s all about mobile. Now you don’t have the space or the room to get away with bad design. And it’s much more tangible and much more present. So you have to have good aesthetics and user-based design principles to make the product work. Noel Lyons: At Barclays, mobile is completely changing the relationship people have with the bank and I think we’re on a journey to try to understand what that means. If we look at the logins for our mobile app, they’re happening constantly – around the clock. We’re used to desktop experiences having definite peaks at lunchtime for example, but now it’s on all the time. Simon Piehl: I think there’s also a distinct shift whereby people used to understand that the relationship was input/output – and that was the digital experience. More recently people have come to some kind of intrinsic understanding of what one could be doing with the information that’s in a computer and what one could have as an output – that wasn’t there before. Why are start-ups in particular interested in design? Ophelia Brown: Technology startups tend to realise very quickly that they can use design to build up a relationship with their customers because they know that consumers have very limited attention span or that they have other options open to them in terms of what they can use. So from the very beginning you have to have an engaging product, which means that you design a product that people want to spend time with. 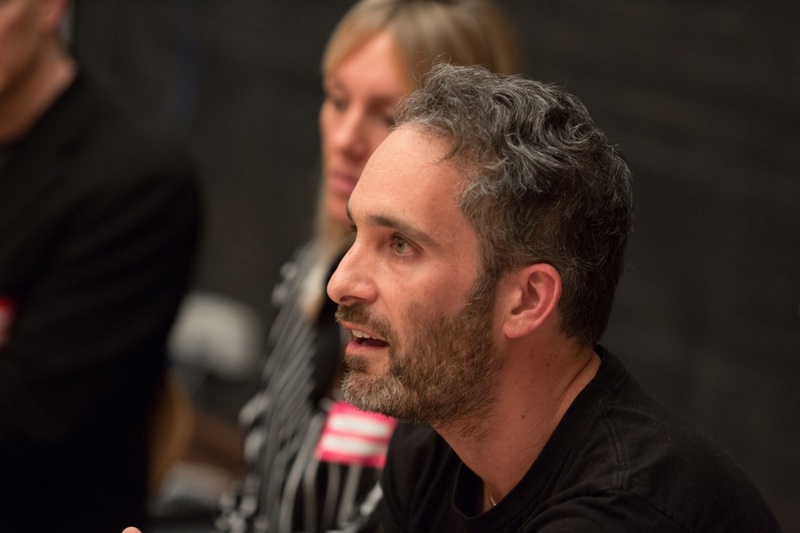 Matt Webb: Having spent the last few months working with tech startups and more traditional companies, one of the big things that I’ve noticed is that tech startups speak directly to end-users. For traditional corporates, customers are not the end user, they have distributors and retailers and this means there’s this huge disconnect where the entire company is oriented around servicing someone who’s not the end-user. Jeroen de Lange: You also get a situation where tech start-ups are trying to do more with design. David Okuniev: Yes and in tech startups designers can get higher up the ladder because by nature designers tend to have empathy with the end user – so these people can start to have a bigger influence in the organisation. Can we define what designers are bringing to tech companies? Anna Bateson: It’s reductive, but you could talk about how designers think about the user, whereas engineers think about individual bits of data that are essentially anonymised and often aggregated up into huge numbers – so they forget the individual and they forget the personal and they forget the human part of it. And I do think designers have much more of a sense of the individual and the human because they go and talk to people and they see how people play with products and use products. John Rushworth: We are there to help businesses communicate with their audiences – that’s one of the key principles of what we do. So we are definitely closer to the audience because we have to understand them. The audience is the key thing to understand before you can deliver a message. Noel Lyons: Yeah, you feed designers problems. Anna Bateson: In technology you had a situation where companies were led by engineers and now there’s a rise of UX and design of a different form. Airbnb is a great example of this – that’s a company where the founders are designers, not engineers. Sophie Thomas: With tech companies the drive for design is not coming from a marketing perspective – the design is completely integral. 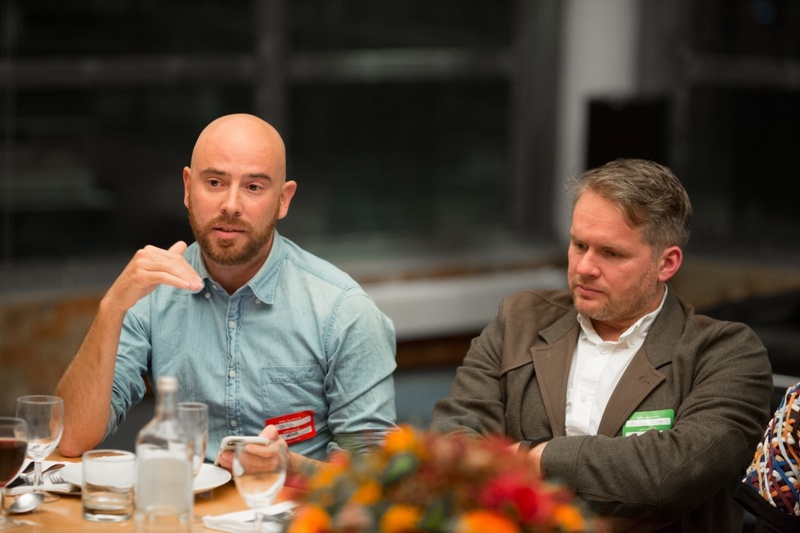 What are companies talking about when they talk about design? And how are they using it? 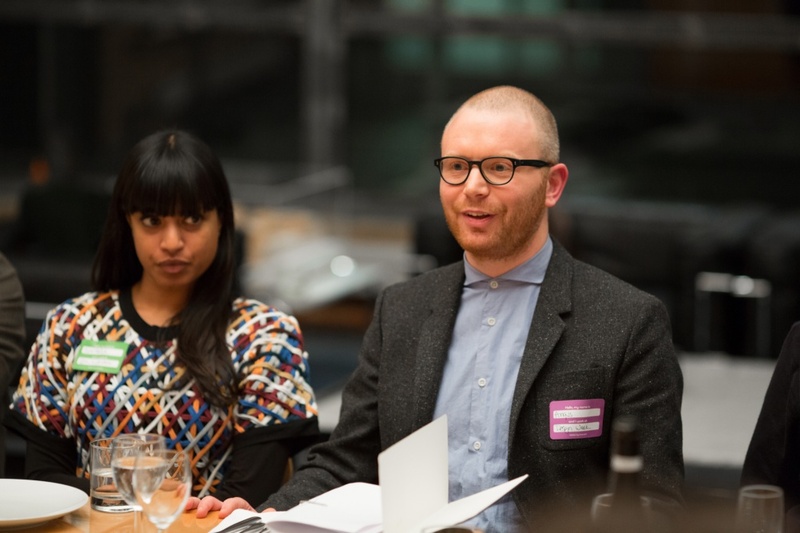 Richard Pope: One of the things I think that has changed on a small scale is suddenly it’s really, really easy to make stuff – now it’s really simple to make relatively complex services. I think there is a challenge for designers – do designers become developers or developers become designers? And we see the beginnings of that in government. Sophie Thomas: Is that good or is that slightly worrying? A lot of the time we talk to politicians who are really interested and who latch on to design as a solution but they don’t really understand it and I think that’s really a question about what it is. Simon Piehl: I do think design does need a little bit of a rebrand – is design the visual aspect, the aesthetics of something? Or is design about doing something? There is a bit of an ambiguity. John Rushworth: Design has always been about removing, it’s always been about taking things away – that’s design. Noel Lyons: It’s about being beautiful and useful isn’t it though? So the reductive minimalism of Gov.uk is correct because it works but for other products there’s a balance between something being really, really useful and something pleasing your soul. Andy Hobsbawm: Something has to be useful and usable and to some extent desirable, but you don’t actually need to it to be all these things at once, depending on the industry – if you go on Amazon it’s certainly usable but it’s not really about desirability of itself. Anna Bateson: That’s the other interesting thing about tech companies: their brands are defined by the product, where previously maybe brand came first. Now some of the best-known brands are defined purely by the product experience – Amazon, Google, Facebook, Twitter – they are all fundamentally defined by that. Ophelia Brown: Yes – technology companies no longer grow up thinking about brand, they think about the product and its design. Naresh Ramchandani: So if I’m a designer working at a tech company, how am I judged to be successful? How do you define and sell what you do as a designer? Matt Webb: A few years ago I started making a list of all the different terms people used when they were talking about designers – I came up with seven mutually exclusive definitions. Natasha Chetiyawardana: At our agency, we sell design as part of an integrated service – as part of an entire innovation process. We’re not selling design in isolation, which is why I think our designers are able to have conversations at C-suite level and be taken seriously – because they don’t have that PR problem of a label of design, where they have to sit in a back room and they can’t have any opinion on how a consumer might react to something. This is starting to change, but it’s still a problem. I often get designers coming to me and saying: “How can I convince someone to listen to me? John Rushworth: Someone once said to me that as a designer you are held back from thinking strategically because design is an intuitive skill. That was the cliché – designers aren’t strategic, they’re intuitive. We spend our lives trying to show that because designers are interested in creating an appropriate playing field we have to engage with the client’s business and think strategically. How is the discipline of design changing? For example how has the growth of rapid prototyping affected designers? 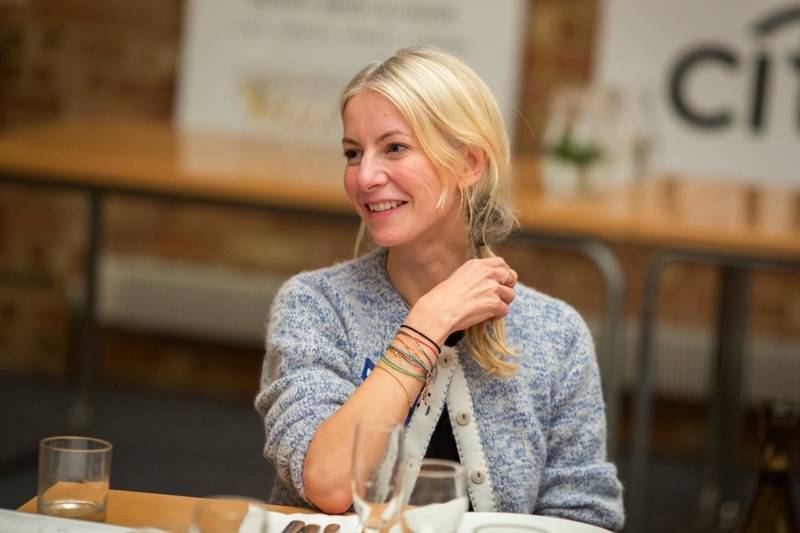 Sophie Thomas: I find it has more of an affect on older, more experienced designers than with younger designers. Younger designers are much more used to getting feedback on a daily basis so they’re iterating very quickly, whereas some older designers spend more time researching and they don’t want to get feedback so much. Matt Webb: I’m working with some students at the Royal College of Art at the moment and their current project is to take a previous project from last year and make a Kickstarter campaign for it. That’s a fantastic thing because they’re suddenly thinking about how to put it out there. Airbnb was mentioned earlier as an example of a company set up by designers. Are we now at a stage where it is easier for designers to set up non-design businesses? Sophie Thomas: Possibly, but also there was a point not so long ago where there weren’t many jobs in design. Natasha Chetiyawardana: I think also in design education you are really told that what you should do is set up a small studio and take on your own clients – but the paradox is that I don’t think design education teaches you to do that very well at all. Now, because there are so many opportunities you could start up a Kickstarter campaign and launch a product, or pair up with someone who has complementary skills – that’s what’s really exciting about design now. Sophie Thomas: That’s a really key point actually – designers are generally taught to collaborate. What should the design industry try to get out of this interest in design – what will success look like? 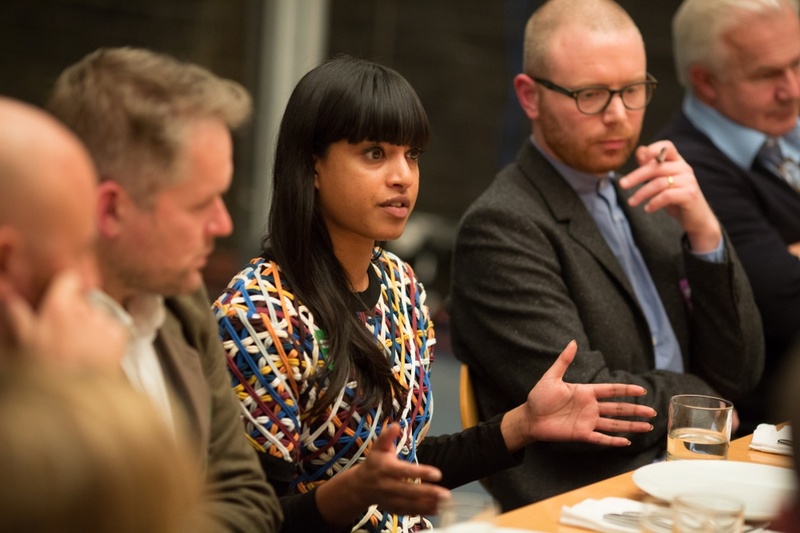 Natasha Chetiyawardana: I think it’s about integrating – everyone is buying up and assimilating and getting designers into their organisations but integrating it is the problem, and if it’s a separate function you’re still going to be talking about the worth of design and how to really make it sing. John Rushworth: There’s an interesting point about the definition and what does design really mean, but if you take the sharp end of a company, which is communication, then most tech startups don’t do this well – their basic identities are not great. Design is not paramount in that sense – the basic thing about how you write your name on a business card is not well done. It’s quite interesting seeing this schizophrenic view of what design is. Simon Piehl: I’d argue that there’s a whole shift to brand expression coming through your UX rather than your colourways. Andy Hobsbawm: Design is part of the networked system – the network is the material and in a way it’s what you design with. In a way design is the co-ordination of hardware, software and real-time data. You might not know what the end result will be. And that feels to me like the real issue and the challenging area. Naresh Ramchandani: But is design really there right from the start for most businesses? Matt Webb: Good point – Apple and Google are interesting proof-points of design as a competitive advantage – but without Apple and Google making those bets would any other tech companies really be interested in design? Anna Bateson: I think if you think in tech terms about design being user experience and about mobile being the most reductive place for user experience then probably yes they would. The bounty on hiring a UX designer into tech companies now is higher than on an engineer. I think the drive for some of design’s popularity is the need to understand user behaviour and deliver products better, rather than expecting users to adapt to the hideous but functional thing that you had put up on a desktop. Andy Hobsbawm: The priority today within digital is that you can’t bring a product to market without user experience. In that case do companies that have a design leadership have an early-stage advantage? Ophelia Brown: Totally – it comes back to what is at your core and how you engage with the people you’re truing to reach out to. Design is hand-in hand with the product DNA for most tech start-ups. Murat Mutlu: I think most of the time your approach to developing a product is about how you want to make someone feel, so you start from there. If you’re a designer you would hopefully know the problem and what you need to solve and you just move forward from there and brand comes further down the line. David Okuniev: John Maeda sent this to me when I put this question to him about design vs engineering. Here’s what he said: “Design is more of a balancer. It is what makes the power of something engineered well and matches it to people’s needs and emotions. It is what makes an idea more business-worthy in a competitive environment where technology alone isn’t the determining factor any more.” So that’s the change. Today, technology alone and the functionality is not enough – you need to go beyond that. That’s where design comes in. 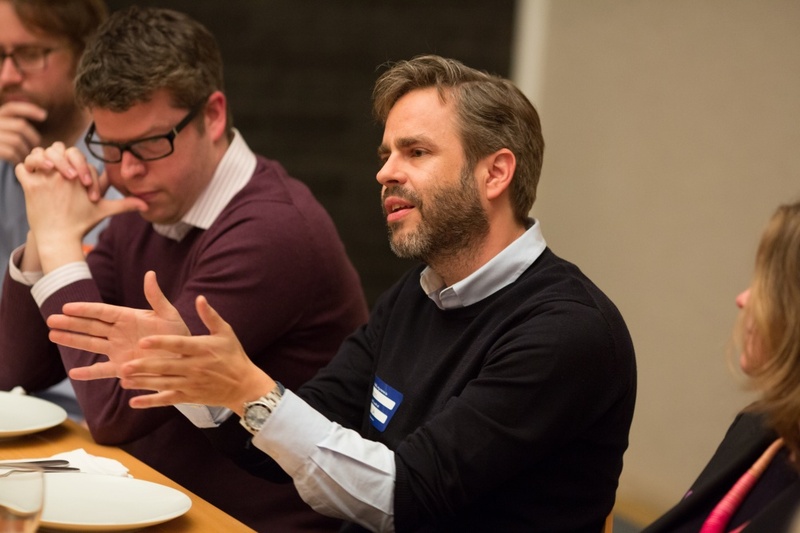 Thanks to Index Ventures for partnering on the roundtable and Pentagram for hosting it.